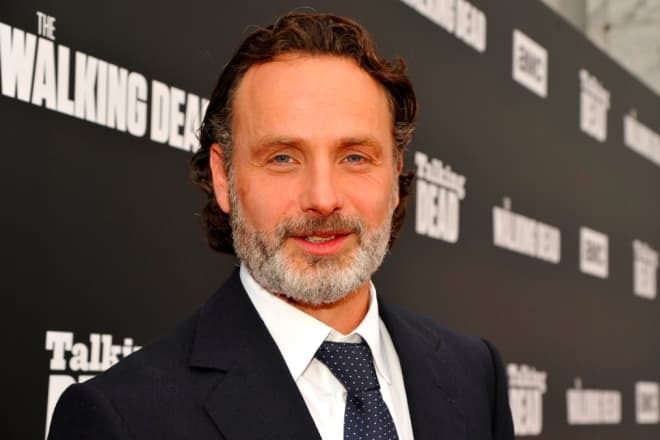 Andrew Lincoln, whose real surname is Clutterbuck - is a British actor, who is famous to the admirers of the modern cinematography due to his roles in the TV series The Walking Dead, This Life and Strike Back. Andrew was born in London in the family of the English civilian engineer and the nurse who came here from South Africa. The boy became the second child: he has an elder brother Richard Clutterbuck who has chosen the pedagogics sphere. Richard headed a couple of schools in different parts of Great Britain. Since 2011 he became the director of St. Laurence's School in Bradford-on-Avon. When the future movie star turned a year and a half, his family moved to the town of Hull. But then there were a couple of more relocations. Andrew spent his teenage years in the city of Bath from the County of Somerset. Here the boy began to attend the high school where at the age of fourteen he appeared on the stage for the first time in the musical performance Oliver!. For young Clutterbuck it was just an experiment, but, to his surprise, he got interested in the acting. Next summer Andrew on purpose went to the camp at London National Youth Theater. He actively took part in the rehearsals and took part in the amateur plays and became sure of the fact that he wanted to dedicate himself to the art and acting. After the young man had completed his studies at the school, he became the student of the Royal Academy of Dramatic Art (RADA). Here he took himself a new surname as his pseudonym which was more resounding and easy to remember: he has become Andrew Lincoln. The actor had his film debut in 1994 when Andrew was still studying in the Academy. The beginning actor appeared in one of the episodes of the TV sitcom Drop the Dead Donkey. Then he had a range of different scope in other movies and series. The successful family drama This Life has brought popularity to the actor. Ten years later the directors shot the sequel of this series in which Andrew Lincoln again appeared in one of the leading roles. Before the beginning of the new century, the actor took part in the episodic roles in the pictures Human Traffic and Mersey Blues. In 2000 there was released the crime drama Gangster No. 1 with the participation of the actor. In this picture, there was a struggle for the title of the major bandit in the criminal world of England. Malcolm McDowell, David Thewlis, Paul Bettany have performed the major roles in this movie. The same year the actor enriched his filmography with two projects – A Likeness in Stone and Offending Angels. In 2001 Andrew got the role of the English teacher called Simon Casey in the sitcom under the title Teachers. For this role in the sitcom, the actor used the opportunity to attend the lessons at school under the direction of his elder brother. Working on the series as an actor, Andrew Lincoln has for the first time tried himself in the direction. For this, he was nominated for BAFTA TV Awards in the category for Directing Debut. In 2003 the actor took part in the tragicomedy Love Actually directed by Richard Curtis. In this movie, he played the role of the young man Mark who falls in love with Juliet (Keira Knightley), the spouse of his close friend Peter (Chiwetel Ejiofor). This picture tells about the life stories of a couple of persons who are connected with each other in a way. These are a writer Jamie (Colin Firth), widowed Daniel (Liam Neeson), a mother of family Karen (Emma Thompson) and even the prime minister David (Hugh Grant). For this role in the full-length movie, Lincoln received the nomination for Best Debut in Empire Awards. A year later Lincoln enriched his repertoire with the role in the drama Enduring Love where Daniel Craig performed the major roles. In a short time, the actor took part in the shootings of the mystical detective series Afterlife in which Andrew appeared in the role of the major character - professor Robert Bridge. The scientist investigates the phenomenon of the medium Alison (Lesley Sharp). For participation in the series, Andrew got the Golden Nymph Award in the nomination for Best Actor in Drama Series at Monte-Carlo Television Festival. 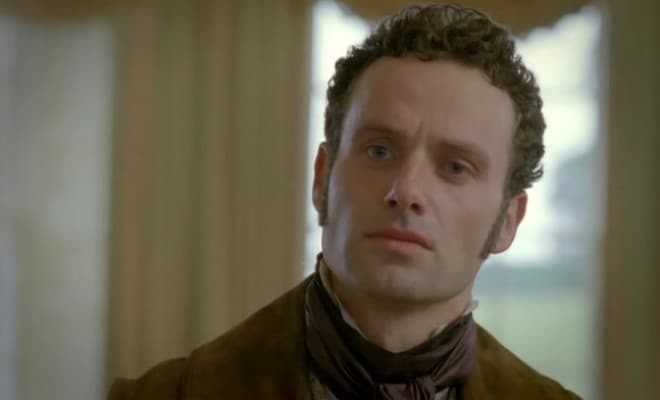 In 2006 there was released the comedy melodrama Scenes of a Sexual Nature with the participation of Andrew Lincoln. Ewan McGregor, Hugh Bonneville, and Tom Hardy also took part in this movie. Among the works of this period, there were also the roles in the TV series This Life + 10 and The Things I Haven't Told You. In 2009 the actor received the invitation to take part in the shootings of the screen adaptation of the classic novel Wuthering Heights. In this movie, he appeared in the role of the character Edgar Linton, the spouse of Catherine (Charlotte Riley) whom the girl had married against her will. The same year Lincoln got the main of the astronaut Michael Collins in the American-British historical movie about the space under the title Moonshot. This movie is dedicated to the 40th anniversary after the moon landing of the human on the satellite of Earth. And in 2010 Lincoln had a real breakthrough in his creative career. The actor took part in the shootings of the French comedy Heartbreaker. In this movie, he performed the role of the English groom Jonathan of the Frenchwoman Juliette (Vanessa Paradis). The professional lady-killer Alex (Romain Duris) take attempts to destroy this idyll, but the young man unexpectedly falls in love with the young woman. Andrew Lincoln performed the major role in the dramatic comedy Made in Dagenham about the women's strike in 1968 during which the female workers of the enterprise achieved equal rights for the salary with the men. Later Andrew Lincoln played a role in the thriller Strike Back. At the same time, the actor started taking part in the fantastic series The Walking Dead in which he received the leading role of the sheriff’s assistant Rick Grimes. This character tries to find his family in the post-apocalyptic world and to protect them from the monsters. This latest work has also brought Andrew the world popularity. The primary roles were played by Sarah Wayne Callies and to Chandler Riggs. For his role in the series the actor was three times nominated for getting the prestigious Saturn Awards, and in 2015 he became the winner in the category for Best Leading Actor. 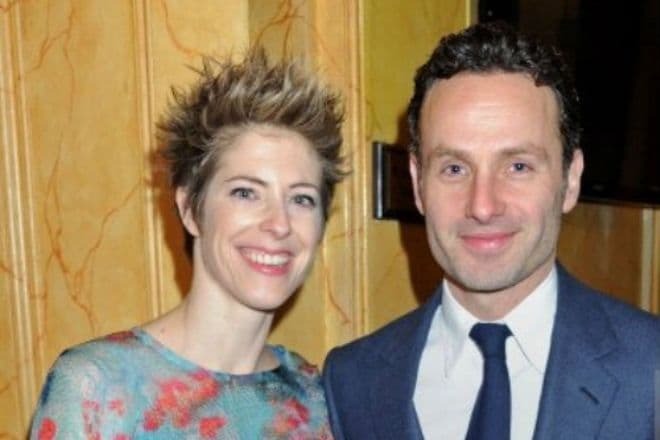 In the nineties, Andrew Lincoln had a romantic relationship with the British actress Tara Fitzgerald who is known to the spectators for the role of Selyse, the wife of Stannis Baratheon in the fantasy series Game of Thrones. In 2006 the actor met Gael Anderson, the daughter of the singer Ian Anderson of the legendary rock band Jethro Tull. The young people have met for five months and then celebrated their wedding and since they live a happy life. The spouses have two children: a son Arthur and a daughter Matilda. At present Andrew Lincoln spends every moment of his free time with his family. They often have rest together; especially they like exotic islands with a warm climate. Gael Anderson is an excellent fan of horses, and she is a skilled equestrian. What about the actor he for the first time appeared on the horse during the shooting of the series The Walking Dead. Andrew Lincoln prefers Facebook from the social networks, and on Instagram, he posts his photos in the image of the character of Rick Grimes. At present, besides his work on the short-length movie Red Nose Day Actually, Andrew continued to shoot in the project Fear the Walking Dead. In the seventh season which broadcast on the AMC channel came to an end at the beginning of 2017. Daryl (Norman Reedus) and Carol (Melissa Suzanne McBride) who lost her family and whose daughter Sofia turned into the zombie because Rick became the major colleagues of Rick on the plot. Also, the new personage– King (Khary Payton) appears in the movie. He has a tiger and knights dressed in the armor. At the end of 2017, there began the 8th season of the series which broadcast was finished on the 15th of April, 2018. The producers plan to shoot the 9th and 10th seasons.